Cola flavoured caffeinated shot with 150mg caffeine to provide a mental and physical boost and added Vitamin B to support a reduction in tiredness and fatigue. 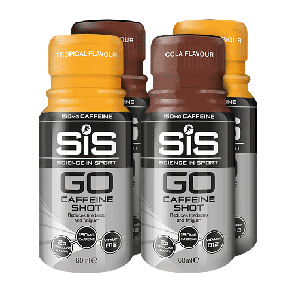 Developed by working closely with top-level athletes and teams, the SiS Caffeine Shot meets the needs of cyclists, runners, triathletes and players of team sports, such as football. Formulated by SiS's scientists, the Caffeine Shot's comprehensive formulation uses only the best ingredients. It's ultra-convenient format makes it easy to take before going to the gym, at races, or during half time. The SiS Caffeine Shot is the ideal choice for professional and recreational athletes alike, especially when added focus is needed for training or competition. Like all SiS products, the Caffeine Shot is backed by industry leading quality control processes, so you know it contains exactly what's stated on the label. •Magnesium to maintain muscle and nerve function. 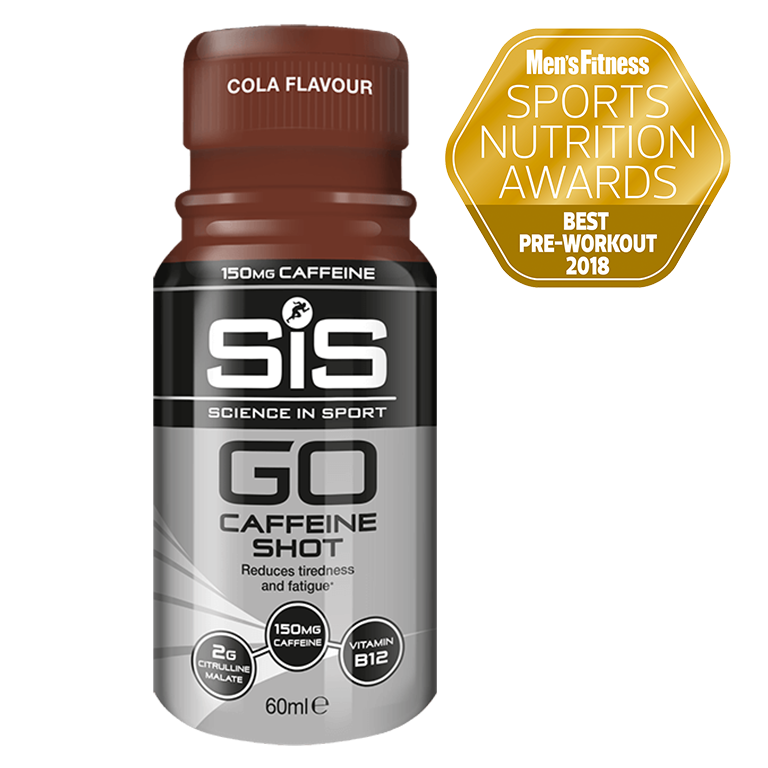 Every batch of SiS GO Caffeine Shot is tested and approved by the Informed Sport programme. For more information on Informed Sport & our unique world class approach, click here. Tastes good and does the job. Hard to prove but seems to do the job. Freebie in my order. Does it work? Hard to say! Yuck. Horrible. Don't do it. Have only used this once, but it was a great shot in the arm at Chalet Reynard for climbing Mont Ventoux!